I’m definitely one of those people who got very excited by acquiring new kitchen wares or cookery or any props for photography purpose. I think many food bloggers and/or photographers can understand this obsession 🙂 I saw this clay pot at the Asian grocery store that I often go when I need ingredients I couldn’t find anywhere else. I’ve been wanting a old-fashion rustic looking clay pot and this one just struck the cord for me. 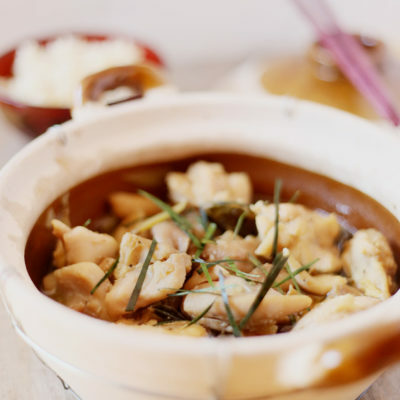 I picked it up and the next thing I know I was cooking clay pot chicken with ginger and lime leaves 🙂 I saw the recipe in The Vietnamese Market cookbook by Van Tran and Anh Vu. It is simple enough and I had all the ingredients. Kaffir lime leaves can only be found at Asian or Indian grocery store as far as I know. They have the fresh ones available from spring to summer usually. In winter time, they have the frozen ones. 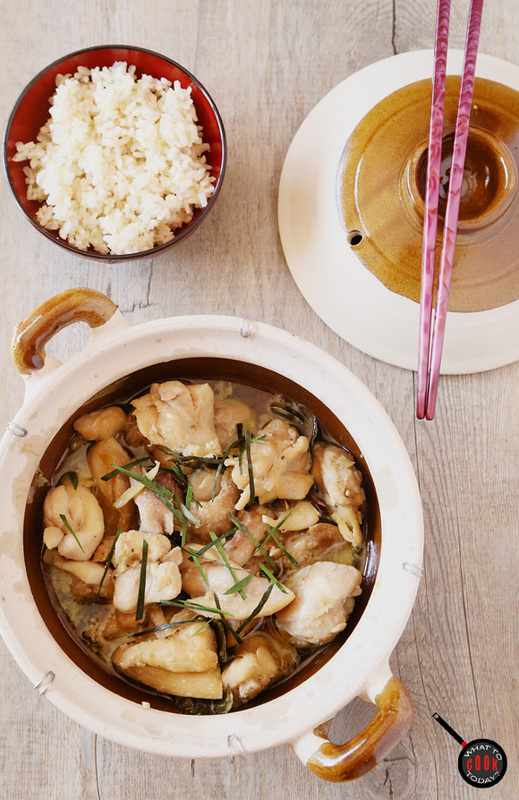 Indonesian cooking uses quite a bit of Kaffir lime leaves too and so I knew immediately this clay pot chicken with ginger and lime leaves would be a good one. And it is !! 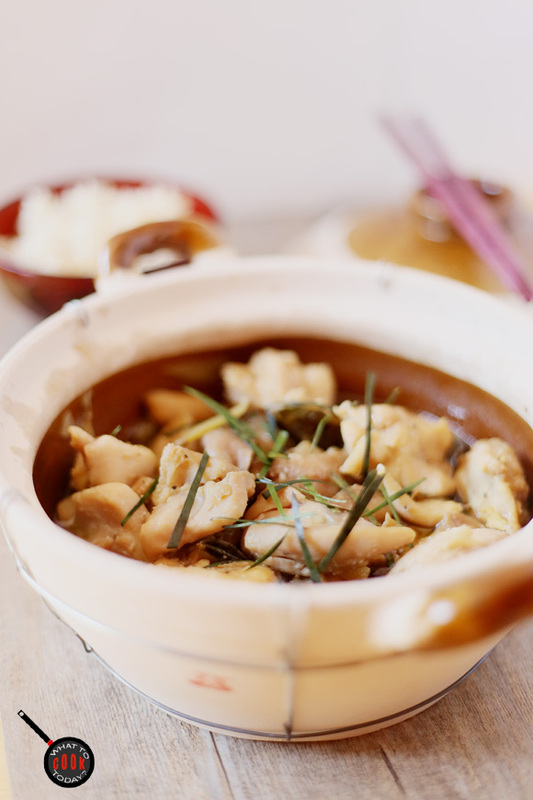 Ginger often goes well with meat dishes. It helps to take off that “meatiness”. You’ve gotta try this combination. Flavorful and delicious !! Gigi eats: I know it ! It’s my go-to meat when I don’t want to think too much. My kids always love it. They label all the meat “chicken” ha..ha..